Few networks control the majority of the charging network market. 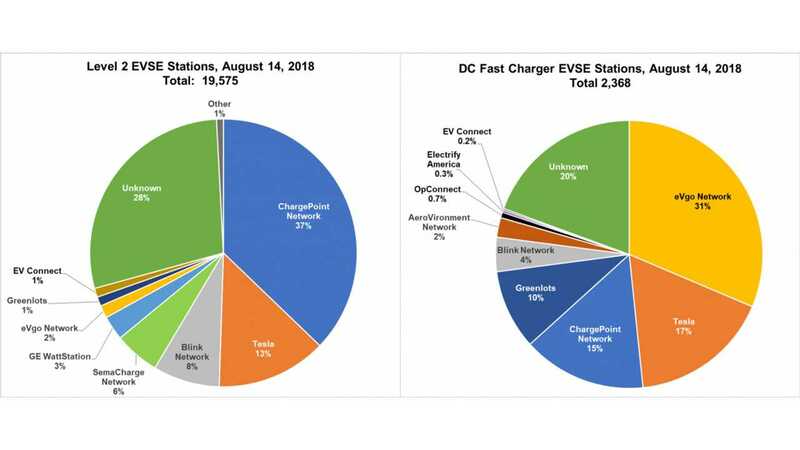 The US DOE’s Office of Energy Efficiency & Renewable Energy released an interesting comparison of charging networks by the number of stations (one can be equipped with several charging outlets/chargers). As it turns out, there are well over 22,000 charging stations (with nearly 60,000 outlets) and over 60% of them belong to one of four charging networks - ChargePoint, Tesla, Blink, and SemaCharge. There are differences between who is the biggest player in AC Level 2 stations and DC fast chargers. Among the 19,975 AC stations, some 37% are connected by ChargePoint and another 13% by Tesla, followed by Blink (8%). On the other hand, EVgo took 31% out of 2,368 DC fast charging stations, followed by Tesla (17%), ChargePoint (15%) and Greenlots (10%). Particular networks vary as to whether they are more into AC or DC charging. "Level 2 charging stations can be used residentially or commercially to provide electricity faster than a standard 120-volt outlet. 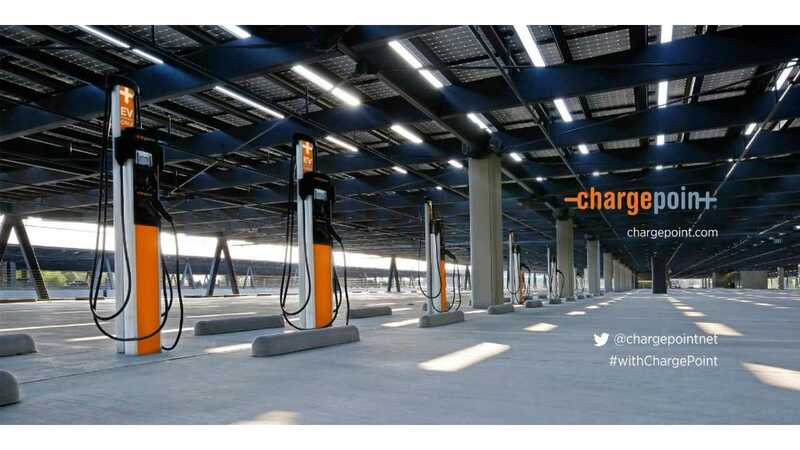 ChargePoint has the largest number of non-residential level 2 charging stations followed by Tesla. 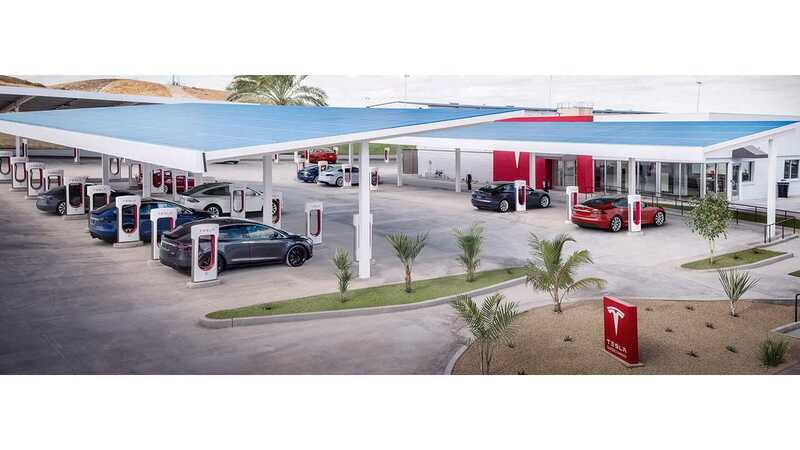 DC fast charging stations allow for long distance travel of EVs by providing quick recharge rates along highways and well-traveled corridors between metropolitan areas. The eVgo Network has the largest number of DC fast charging stations followed by Tesla with its SuperCharger network. 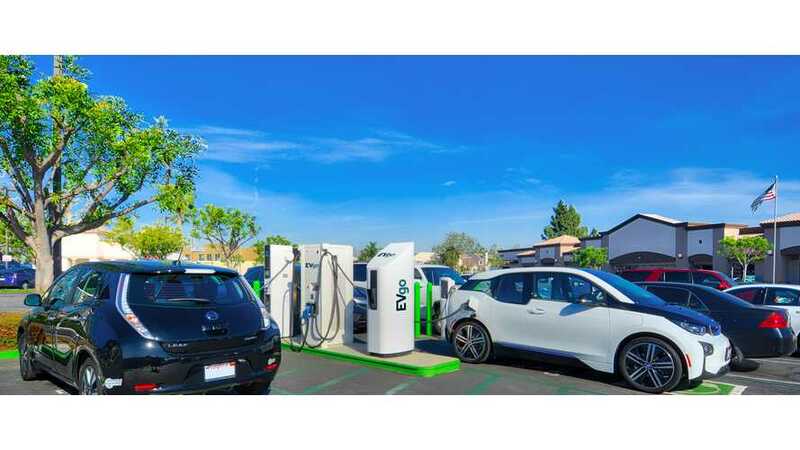 Note: A station is a non-residential address where Electric Vehicle Supply Equipment (EVSE) are located, including both public and private stations. There may be several charging outlets at each station. Level 2 Chargers deliver AC power that provides about 10-20 miles of range per hour of charging. DC Fast Chargers deliver DC power that provides about 60-80 miles of range per 20 minutes of charging. For more information on EVSE, see the Alternative Fuels Data Center. Source: U.S. Department of Energy, Alternative Fuels Data Center, Alternative Fueling Station Locator, accessed August 14, 2018."